For one weekend this March, the Singapore Urban Design Festival is back, bigger and better than ever with a full programme of exciting events throughout all three days. 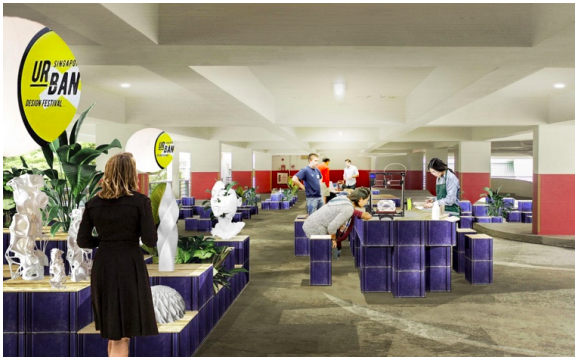 Taking place atop an under utilised multi-storey carpark in the Jalan Besar, the festival brings together Urban Design Innovation Talks wth a full schedule of fun activities with something for everyone. Highlights includes a new edition of Rooftop Roller Disco, letting members of the public rent quad skates for free as they cruise around the carpark. Find out how music is the answer as you party it up with DJs like Stephen Day, Muto Masashi (Ice Cream Sundays), Orio Leshem (Fat Fish Familia) and more, as they put on some sick beats. Then, get ready as Live Entertainment headliners Masia One, Mediocre Haircut Crew, and Forests take to the stage to electrify the crowd with their showstopping music. Next up – catch singer-songwriters YAØ, Joie Tan, LEW, Retrofocus, each artist garnering respectively respectable listens on Spotify, with their original tunes that have captured the hearts and ears of fans both local and international. Other acts include Royal Estate, Dreebsby, Highcøast and Viceboy, set to rock the stage with their groove-inducing music. Or be bowled over by performances from drag queens Yeast Monster, Arya Dunn, Dahlia Rose, and Tiara Sorrel as they celebrate life and individuality! The future is in your hands, figuratively and literally, with workshops that teach you how to turn underutilised spaces in our overpopulated and human-dense society into useful and profitable areas. Or learn, create and share with Correnti Studios in “Urban Farming in Underutilised Spaces” to discover the possibilities of having small greenhouse spaces in unconventional places to grow fruits and vegetables! How might we design our homes for the ways in which Singaporeans want to live their lives? What do you value, and what do you desire? AGENCY is bringing you “Imagining the Future of Our Living Spaces in Singapore” on 16 March, from 4-6pm. Come brainstorm, discuss, and envision your own ideal future living space out of sustainable materials provided! Under Armour, the originator of performance footwear, apparel and equipment, will also be conducting 4 wellness workshops, no experience required! Bring down your yoga mats, join either the HITT, Yoga Jam, Bootcamp (Core or Tabatha), or Crossfit classes, and be prepared to sweat it all out! Feeling hungry because you had too much fun? Go for Maille’s selection of gourmet sandwiches! Served using only the finest ingredients and its famed premium mustard and vinegar to create daring flavours, these are guaranteed to make your meal memorable! Or go for W Hotel’s Slow Smoked Wagyu Brisket, and pair it with the hotel’s selection of uniquely named cocktails, such as Secret Mermaid and W Sling Sling! 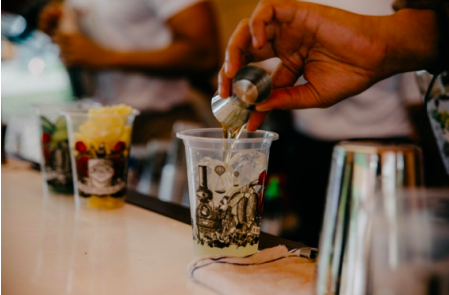 Hendrick’s Gin will be also there serving deliciously super premium gin, made with a number of unusual twists to deliver a most curious arrangement. Scotland-made, small batch distilled, their gin is made with infusions of cucumber and rose petals, alongside a blend of 11 botanicals, producing a wonderfully refreshing gin with a delightfully floral aroma. Connoisseurs, rejoice! If you’re feeling healthy or simply just want to quench your thirst, cold pressed juices are an option! Sustenir Agriculture is a local vertical farm that grows quality and highly nutritious farm-to-table fresh produce, without exposure to soil, pesticides, air pollution and heavy metals! The cold pressed juices from Ugly Food on the other hand, are made with a good cause. In an effort to encourage the reduction of food wastage, fresh produce from the trash is saved and transformed into delicious and nutritious products. Finally, for those with even an inkling of interest in design, be sure to attend the summit itself where 40 distinguished speakers and panelists will come together to talk sustainable development on resources, mobility and people, through the lens of technology. Catch renowned speakers such as Amine Kamel (Vice President of Urban Mobility and Autonomous Driving Bosch Southeast Asia) as he sheds light on “Urban Mobility in Transition” and more. If you have ever wondered what our future cities might look like and the problems we might face, thought about what we can do to stretch our existing resources, or help make a difference, come join the discussion and be part of the movement, and have fun as Urban Design Festival returns this March.